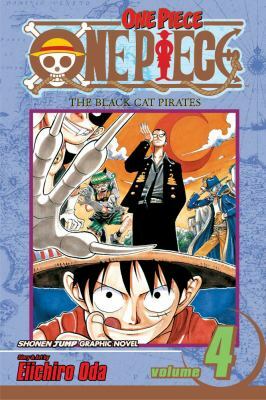 Captain Kuro, the fearsome leader of the Black Cat Pirates, has resurfaced and the group are poised to attack... unless Monkey D.Luffy and his mismatched crew can stop them! If these four amateur pirates want to stop the entire Black Cat crew, they'll have to come up with a pretty slick plan.Eiichiro Oda is the author of 'One Piece Vol. 4: The Black Cat Pirates', published 2004 under ISBN 9781591163374 and ISBN 1591163374.